Happy Sunday! Lesley here! 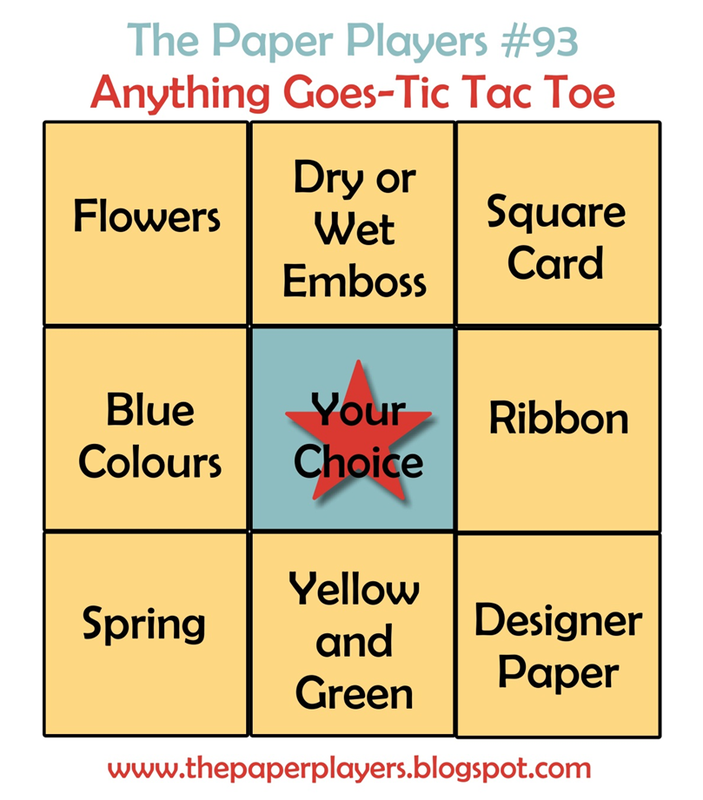 This week at the Paper Players Challenge, I am the hostess and I have a TIC TAC TOE thang going on! Basically choose any three in a row...across, down, diagonally...I left the center choice up to you, like in Bingo! Sheesh I am mixing up my games here, but you get the drift! 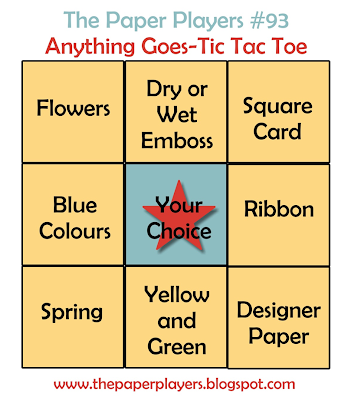 This is an Anything Goes Challenge but with the parameters in the Tic Tac Toe box! So feel free to use our challenge to create a card, scrapbook page or 3D item! I hope you will join in the fun! 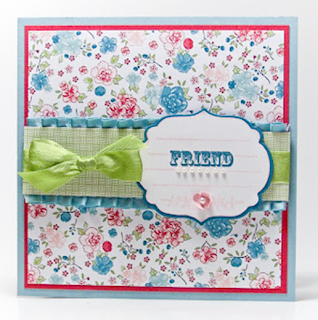 This is also our last week with Shirley Pumpkin as our April Guest Designer. Thank you Shirley for all of your wonderful work!! We have enjoyed having you on the team!! Jaydee, Anne Marie and Heidi are off this week. Thanks for the lovely challenge!! I used 'flowers, blue colours, spring' as my theme. And the DT-team did a great work, as always. And I do love your new look. So many beautiful samples, ladies! Such pretty work from the DT, fun challenge too!